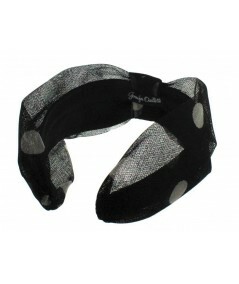 Dotted Tulle Extra Wide Center Turban Headband. 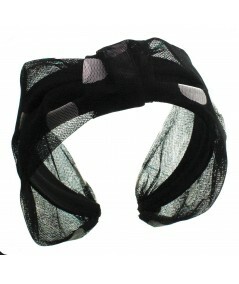 This turban extends past the ear to create more of a hat look. 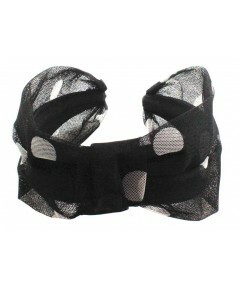 Large polka-dot print on tulle creates a chic year round headpiece.